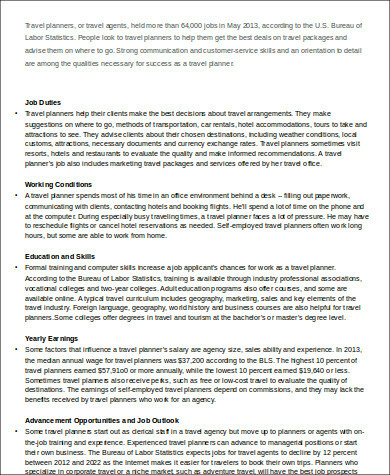 People are very inclined in traveling nowadays as it helps them to get more perspective about life and it also gives them the experience to try new things, experience the culture of different places, and see sights that a specific location is known for. 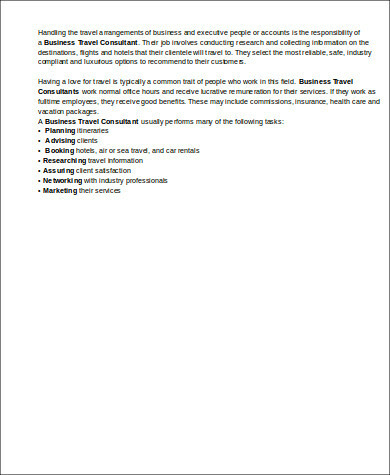 There are many things that traveling can provide, which is the reason why more people travel from one place to another. 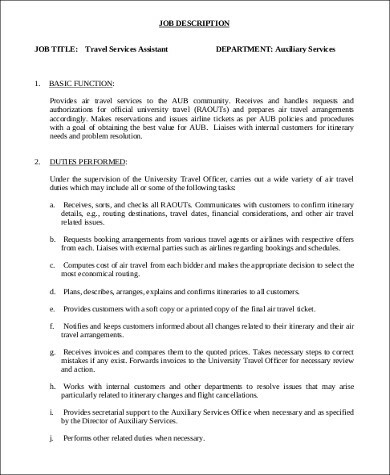 There are many preparations that are involved in traveling, which is why the services of a travel agent is very helpful if you want to have a hassle-free traveling experience. 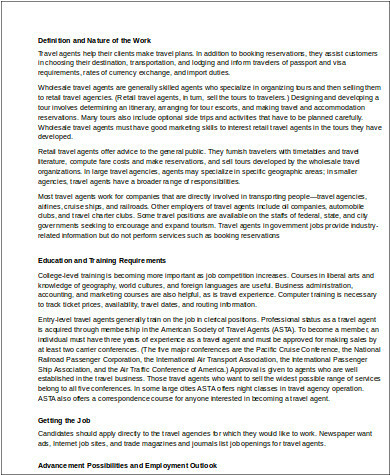 A travel agent can provide various services that can help you from planning the trip up to booking the services that you want to avail. 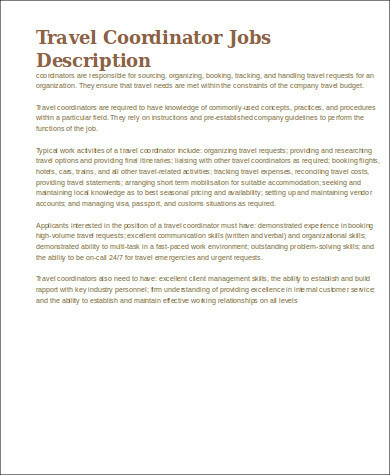 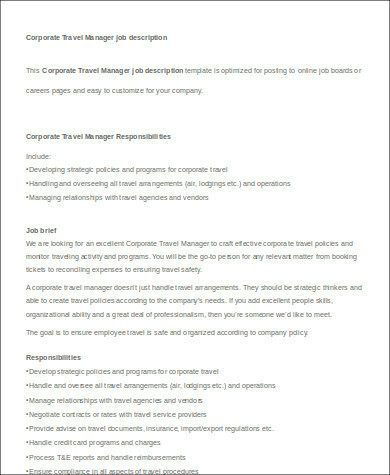 Other than our travel agent job descriptions, you may also download other Job Description Samples. 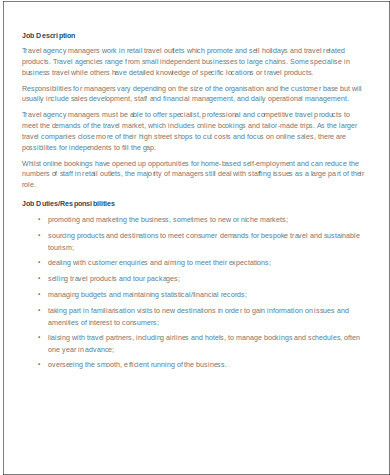 Other than our job descriptions for a travel agent post, you may also browse through our Insurance Agent Job Description Samples. 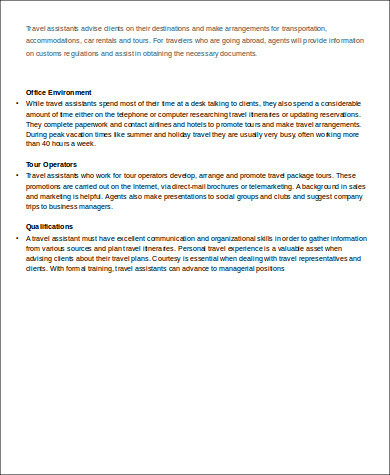 Other than our travel agent job descriptions, you may also be interested to download our Front Desk Job Description Samples.